Specialists in the installation, repair and maintenance of mechanical plant and electrical services. 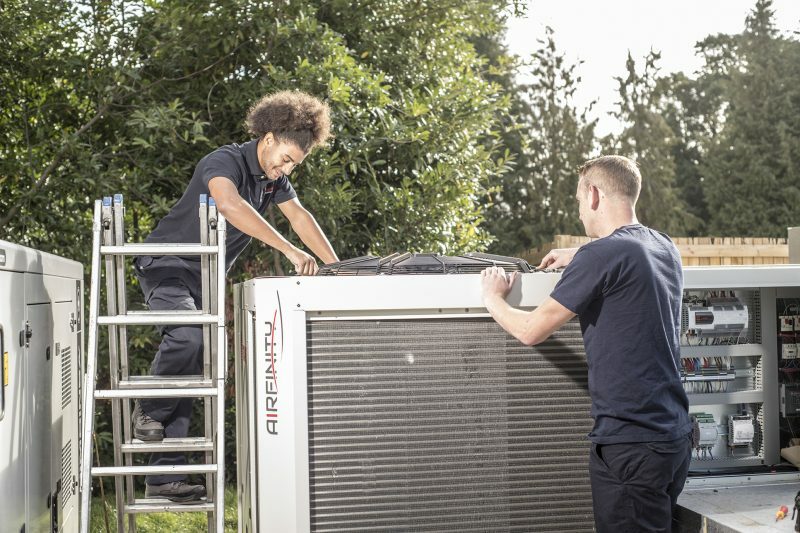 Formed in 1976 under the trading name Emmergrove Limited, we started life as a small maintenance firm working from a humble workshop in North-Hampshire, specialising in the service and repair of domestic and commercial refrigeration equipment. Fast-forward 19 years to 1995, the company diversified into other trade areas such as air conditioning and heating, and the installation and service elements of the business were transferred to the Comfort Building Services brand. Service delivery is the very backbone of our organisation and represents our primary route to market. Operating 24hrs a day, Comfort Building Services provides planned and reactive building services to hundreds of private and public sector commercial clients across the south of England, and works as approved installers and service agents for some of our industry’s largest manufacturers such as Daikin, Mitsubishi, Toshiba and Powrmatic. One of our key skills is the deployment and management of planned maintenance contracts, covering a range of hard and soft FM services. Comfort Building Services and our association with the BIFM (British Institute of Facilities Management), signifies our acknowledgement and commitment to providing client’s with robust and flexible PPM programmes, guaranteeing total compliance, reduced downtime and total peace of mind. “We were very happy with the work carried out again on this phase"
Contact us now and discover how Comfort Building Services Limited can improve your working environment. Comfort Building Services specialise in the deployment and management of planned maintenance contracts, covering a range of hard and soft facilities services, trades and disciplines, and deliver millions in large installation contracts to organisations across the south of England, each year.